Brief History of Buyer Engagement Tracking In the early 2000’s, CRM SaaS offerings began to gain traction with Salesfore.com leading the charge. Now, nearly 20 years later, CRM systems have transitioned from a “nice-to-have” to an essential element of any enterprise sales tech stack. Every May #SDSummit sweeps sales enablement internet channels and conversations. So what is it? How will it help your business and why should you physically go? We’ve put together this blog to help you evaluate whether you should attend. To assist in the planning efforts of b-to-b sales leaders, SiriusDecisions creates fact based, research-driven Planning Assumptions guides every year. If you’re a sales-enablement leader, you’ll want to take some time to download and read their latest guide, Sales Enablement: Planning Assumptions 2019. 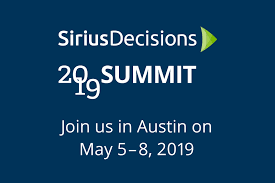 To aid in the planning efforts of B2B leaders, SiriusDecisions creates research-driven Planning Assumptions guides each year. Gartner, the world’s leading research and advisory firm, recently recognized Accent Technologies as a sample vendor for several categories: Sales-Enablement Platforms, Algorithmic Guided Selling, Sales Analytics and Digital Content Management for Sales. If your company provides a service to other businesses, you’ll need to communicate regularly with your clients. Whether you’re working on an IT project, construction services, a marketing project or nearly any other type of service, your clients need to be informed every step of the way. Get Accent's latest sales enablement articles straight to your inbox.